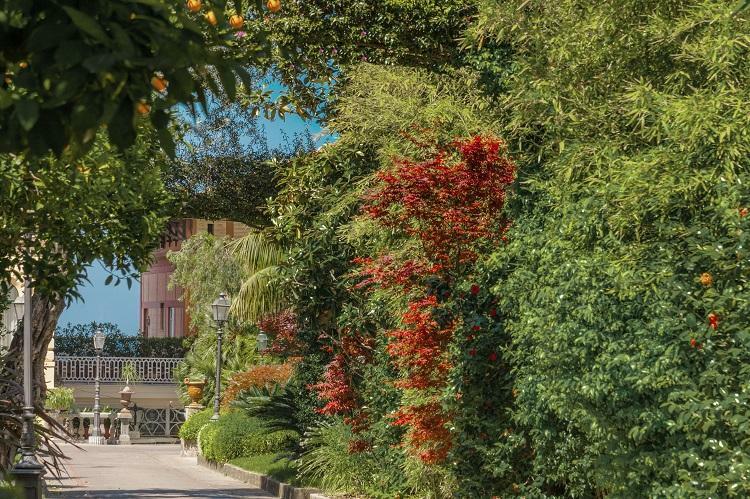 Grand Hotel Excelsior Vittoria closes for the season on January 8, 2019 reopening April 1,2019. Ranging from 25 to 35 sq.m (270 to 376 sq.ft), the Superior Double Sea View rooms feature side sea view. Elegantly decorated in a classic style with modern comforts. King-size bed or twin beds. Marble bathroom - Complimentary Wi-fi access - In-room bar - In-room safe - 24-hour room service - Climate control - Satellite TV. Ranging from 30 to 35 sq.m (from 323 to 376 sq.ft), the Deluxe Double Sea View rooms feature views of Mount Vesuvius and the deep blue water of the Bay of Naples. King-size bed or twin beds. Marble bathroom - Complimentary Wi-fi access - In-room Bar - In-room safe - 24-hour room service - Climate control - Satellite TV. Ranging from 45 to 55 sq.m (from to 592 sq.ft), the exquisitely furnished Junior Suite Garden View overlooks the hotel's lush gardens. Ideal for families, the suite is very spacious and comfortable and features king-size or twin beds with an extra bed available on request at the time of booking. Marble bathroom - Complimentary Wi-fi access - In-room safe - 24-hour room service - Climate control - Satellite TV - Complimentary in-room bar. Ranging from 45 to 55 sq.m (from 484 to 592 sq.ft), the Superior Junior Suite Sea View is well appointed with a classic décor complemented by a contemporary touch. It features a side sea view and garden. King-size or twin beds. Extra bed available on request at the time of booking. Marble bathroom - Complimentary Wi-fi access - In-room safe - 24-hour room service - Climate control - Satellite TV - Complimentary in-room bar. Ranging from 35 to 60 sq.m (from 376 to 645 sq.ft), the supremely comfortable Deluxe Junior Suite Sea View offers an unrivalled full sea view and features a private terrace. King-size or twin beds. Extra bed available on request at the time of booking. Marble bathroom - Complimentary Wi-fi access - In-room safe - 24-hour room service - Climate control - Satellite TV - Complimentary in-room bar. Ranging from 55 to 60 sq.m (from 592 to 645 sq.ft), the Superior Suite Sea View is finely furnished in classic style and features a separate sitting area. It offer sea views. King-size or twin beds, with an extra bed available on request at the time of booking. Marble bathroom - Complimentary Wi-fi access - In-room safe - 24-hour room service - Climate control - Satellite TV - Complimentary in-room Bar - Tea and coffee making facilities. Ranging from 60 to 65 sq.m (645 to 700 sq.ft), the lavish Deluxe Suite Sea View is well appointed with a refined blend of classic and contemporary design. With a full sea view and a separate living area. King-size or twin beds with an extra bed available on request at the time of booking. Marble bathroom - Complimentary Wi-fi access - In-room safe - 24-hour room service - Climate control - Satellite TV - Complimentary in-room Bar - Tea and coffee making facilities. Ranging from 85 to 97 sq.m (914 to 1044 sq.ft), our lavish Grand Deluxe Suites are well appointed in a classic style with a contemporary touch. These suites offer a full sea view and a separate living area. King-size or twin beds with an extra bed available on request at the time of booking. Marble bathroom - Complimentary Wi-fi access - In-room safe - 24-hour room service - Climate control - Satellite TV - Complimentary in-room bar - Tea and coffee making facilities. Ranging from 90 to 187 sq.m (968 to 2012 sq.ft), these stylish two-bedroom suites feature fine Italian fabrics. Some reflect the refined classic style while others are designed with a more modern feel. 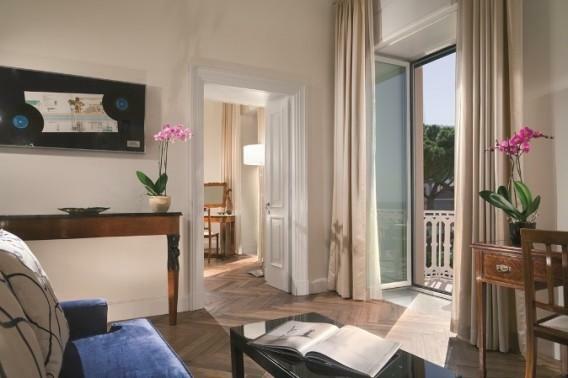 Ideal for families, the suite also provides an extensive, furnished private terrace overlooking the Bay of Sorrento, where you can witness a glorious sunset. Marble bathroom - Complimentary Wi-fi access - In-room safe - 24-hour room service - Climate control - Satellite TV - Complimentary in-room Bar - Tea and coffee making facilities. 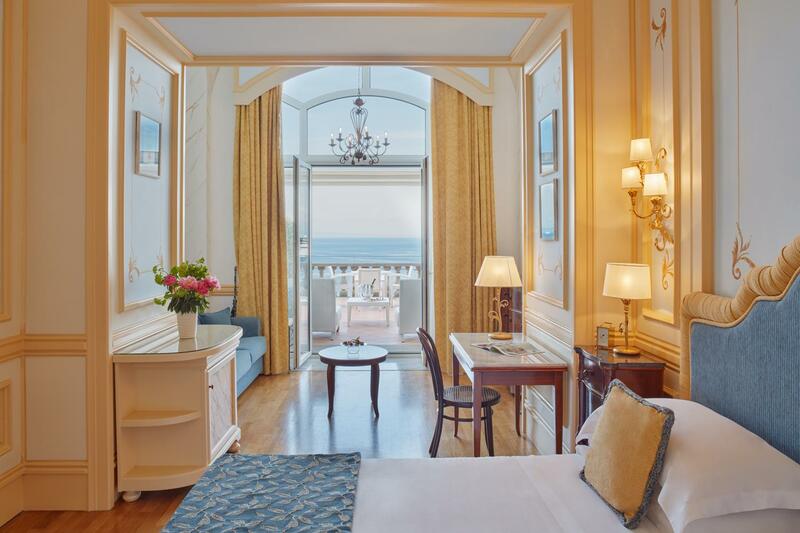 Ranging from 60 to 75 sq.m (645 to 807 sq.ft), each One-of-a-kind suite has its own history along with a tribute to past celebrities who have stayed here in the romantic backdrop of the Sorrento peninsula. 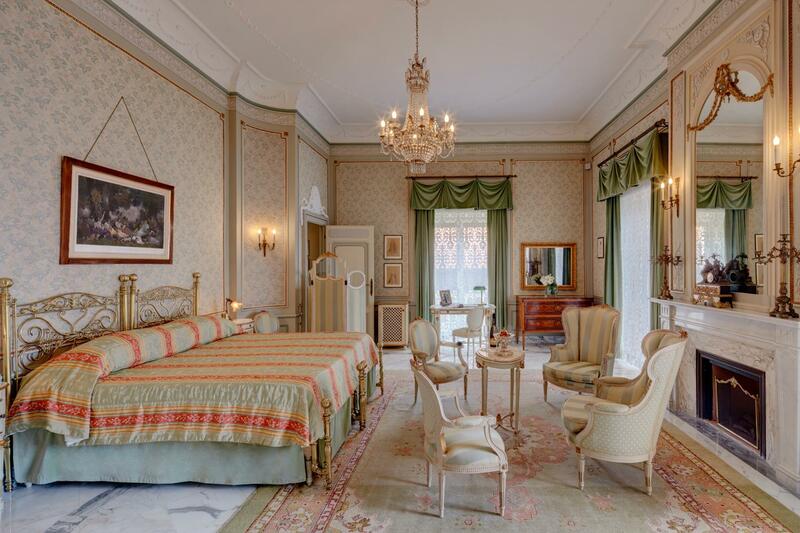 All individually decorated, these unique suites are softened with lavish Italian fabrics and luxurious artefacts. A wonderful view over the Bay of Naples' deep blue water can be enjoyed from private terraces. Some have a separate sitting room. King-size or twin beds with an extra bed available on request at the time of booking. Marble bathroom - Complimentary Wi-fi access - In-room safe - 24-hour room service - Climate control - Satellite TV - Complimentary in-room bar - Tea and coffee making facilities. The 65 sq.m (700 sq.ft) Caruso Suite is decorated in the same style as when Enrico Caruso, the famous tenor, stayed in the room in 1921. This unique suite also includes Caruso's piano, writing board, some of his letters, black and white photographs and antiques collected by the Fiorentino family. Throughout the suite, a soothing tone of green decor, high ceilings and an opulent chandelier enhance the elegant atmosphere. 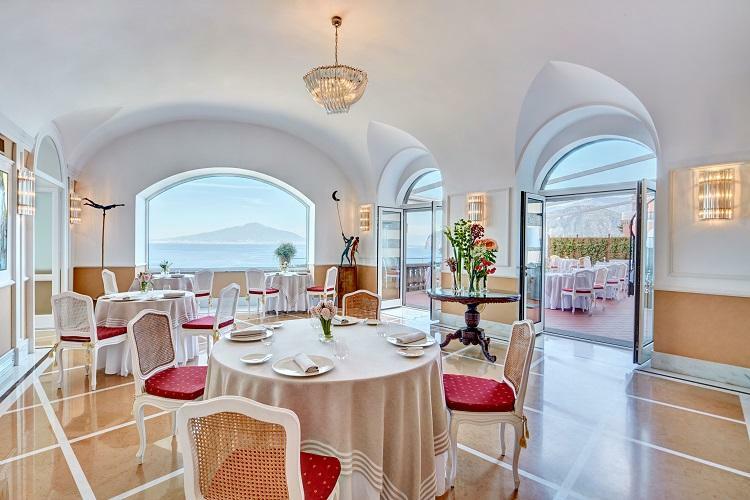 The large private terrace offers breathtaking views over the Bay of Naples. Marble bathroom - Complimentary Wi-fi access - In-room safe - 24-hour room service - Climate control - Satellite TV - Complimentary in-room Bar - Tea and coffee making facilities. The exclusive Dalla Suite is a spacious 75 sq.m (807 sq.ft) suite. It is named after the Italian singer and songwriter, Lucio Dalla, who passed away in 2012. The famous singer looked to Enrico Caruso for inspiration and wrote his musical masterpiece 'Caruso' as a tribute to his hero in 1986 in the hotel's Caruso suite. The Dalla Suite has a more contemporary ambience, fusing modern furniture with antiques, parquet floors and a grand piano. The private terrace overlooks the deep blue Naples sea. Marble bathroom - Complimentary Wi-fi access - In-room safe - 24-hour room Service - Climate control - Satellite TV - Complimentary in-room bar - Tea and coffee making facilities. This luxurious 97 sq.m (1044 sq.ft) suite is dedicated to the world-famous tenor Luciano Pavarotti, who stayed at the hotel on several occasions. The Pavarotti Suite playfully blends precious antiques, fine Italian fabrics and hand-painted tiles made on the Amalfi Coast. 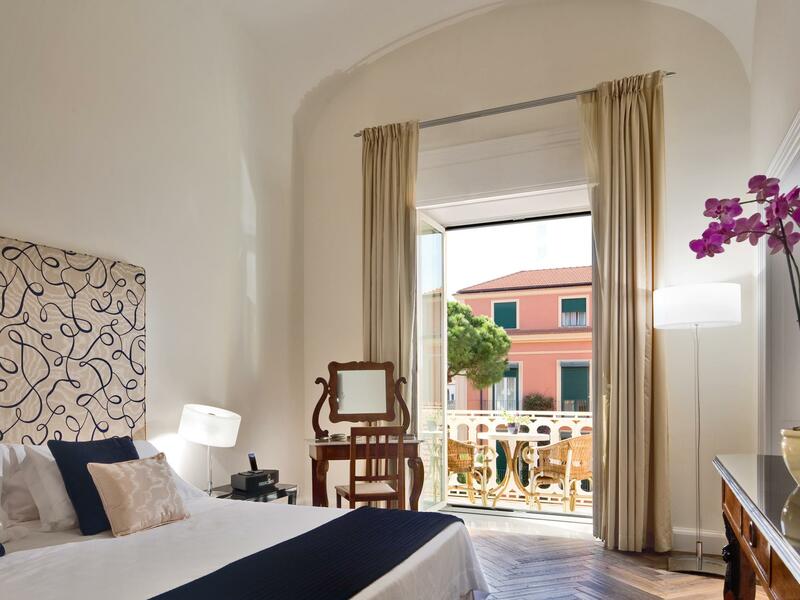 It also features a furnished private terrace overlooking the Bay of Sorrento where you can witness a glorious sunset. Marble bathroom - Complimentary Wi-fi access - In-room safe - 24-hour room service - Climate control - Satellite TV - Complimentary in-room bar - Tea and coffee making facilities. The 95 sq.m (1022 sq.ft) Caruso Suite is decorated in the same style as when the famous tenor, Enrico Caruso, stayed in the room in 1921. This unique suite also includes Caruso's piano, writing board, some of his letters, black and white photographs and antiques collected by the Fiorentino family. Throughout the suite, a soothing tone of green decor, high ceilings and an opulent chandelier enhance the elegant atmosphere. The second bedroom's decor is the same as the master bedroom. The large private terrace offers breathtaking views over the Bay of Naples. Marble bathroom - Complimentary Wi-fi access - In-room safe - 24-hour room service - Climate control - Satellite TV - Complimentary in-room bar - Tea and coffee making facilities. The 124 sq.m (1334 sq.ft) Dalla suite is named after the Italian singer and songwriter, Lucio Dalla, who passed away in 2012. The famous singer looked to Enrico Caruso for inspiration and wrote his musical masterpiece 'Caruso' as a tribute to his hero in 1986 in the hotel's Caruso suite. The Dalla Suite has a more contemporary ambience, fusing modern furniture with antiques, parquet floors and a grand piano. 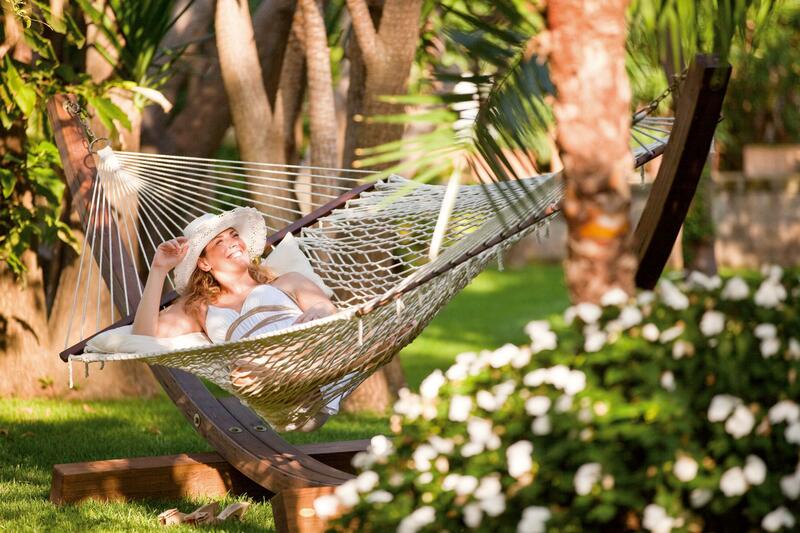 This two-bedroom suite with a private terrace overlooking the sea offers a comfortable option for families. Marble bathroom - Complimentary Wi-fi access - In-room safe - 24-hour room service - Climate control - Satellite TV - Complimentary in-room bar - Tea and coffee making facilities. This luxurious 139 sq.m (1496 sq.ft) suite is dedicated to the world-famous tenor Luciano Pavarotti, who stayed at the hotel on several occasions. The two-bedroom suite playfully blends precious antiques, fine Italian fabrics and hand-painted tiles made on the Amalfi Coast. 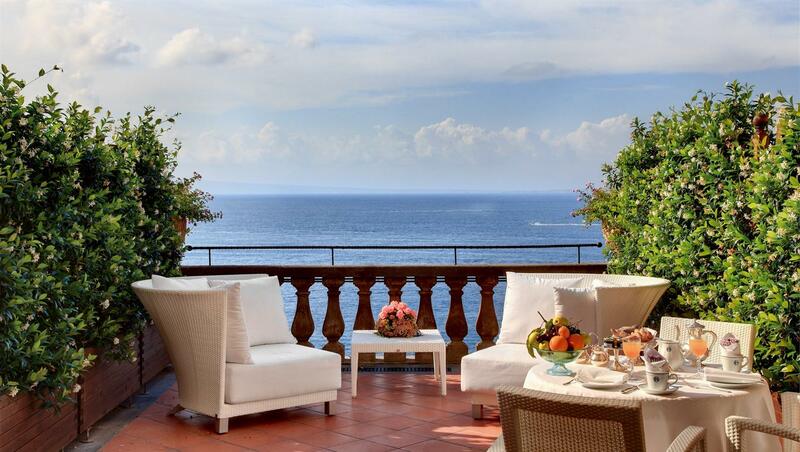 There is also a private terrace overlooking the Bay of Sorrento where you can enjoy glorious sunsets. A comfortable option for families. Marble bathroom - Complimentary Wi-fi access - In-room safe - 24-hour room service - Climate control - Satellite TV - Complimentary in-room bar - Tea and coffee making facilities. 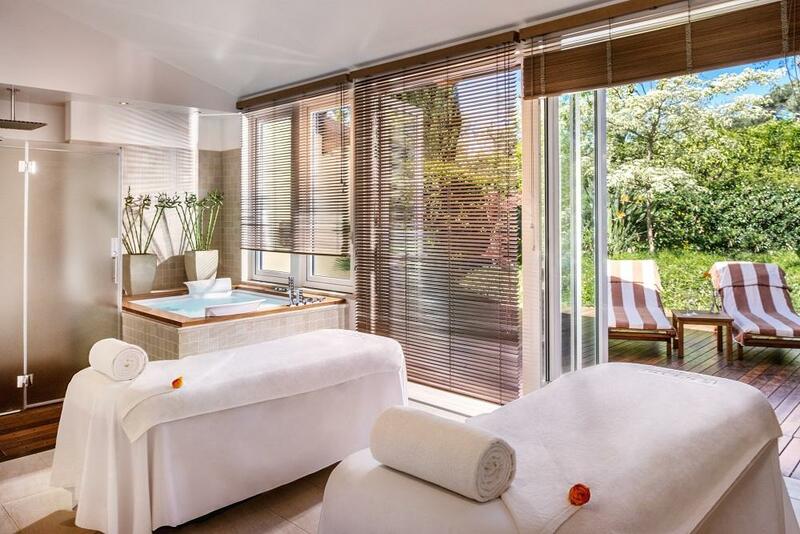 This magnificent 213 sq.m (2293 sq.ft) three-bedroom suite is dedicated to the world-famous tenor Luciano Pavarotti, who stayed at the hotel on several occasions. 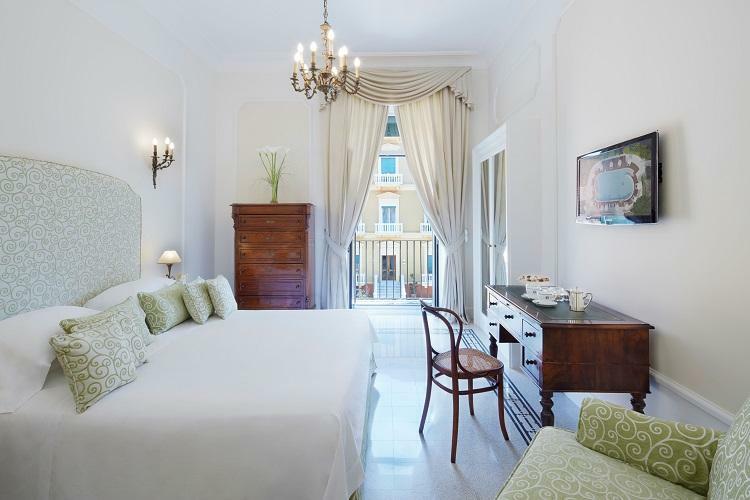 Ideal for families, the three-bedroom suite playfully blends precious antiques, fine Italian fabrics and hand-painted tiles made on the Amalfi Coast. A 200 sq.m (2153 sq.ft) private terrace overlooks the Bay of Sorrento, from where you can enjoy glorious sunsets. Marble bathroom - Complimentary Wi-fi access - In-room safe - 24-hour room service - Climate control - Satellite TV - Complimentary in-room bar - Tea and coffee making facilities. This 90 sq.m (968 sq.ft) elegant and sophisticated apartment is fully furnished with a contemporary flair. An expansive living area for relaxing or entertaining is enriched by stylish Italian furniture and fine fabrics. A terrace provides an intimate al fresco space for luxurious private dining. With two bedrooms, both with a private bathroom and shower, the apartment accommodates up to four people. Three nights minimum stay. Check in at 5pm, check out at 9am. This 125 sq.m (1345 sq.ft) elegant and sophisticated apartment is fully furnished with a contemporary flair. An expansive living area for relaxing or entertaining is enriched by stylish Italian furniture and fine fabrics. A terrace provides an intimate al fresco space for luxurious private dining. With three bedrooms, all with a private bathroom and shower, the apartment accommodates up to six people. Three nights minimum stay. Check in at 5pm, check out at 9am. Open for dinner during the summer months. Hours of operation: 7:30 pm - 11:00 pm. 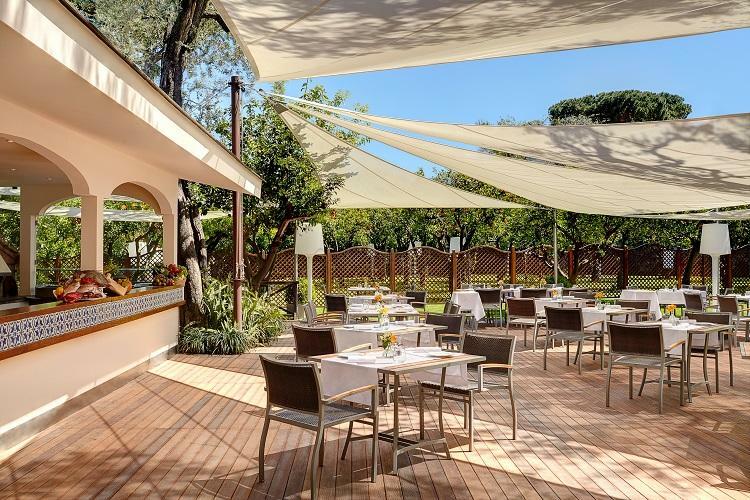 The Orangerie poolside bar and restaurant offering open-air cuisine and wood pizza oven in the refreshing orange grove. Open from spring to early autumn from 12 noon until 3pm, and from June to September also in the evening from 8pm to 11pm. Perfect place for pizza lessons during summer time. For special events, there is a separate beautiful green area by the restaurant is a beautiful green area in which your event can be organized. 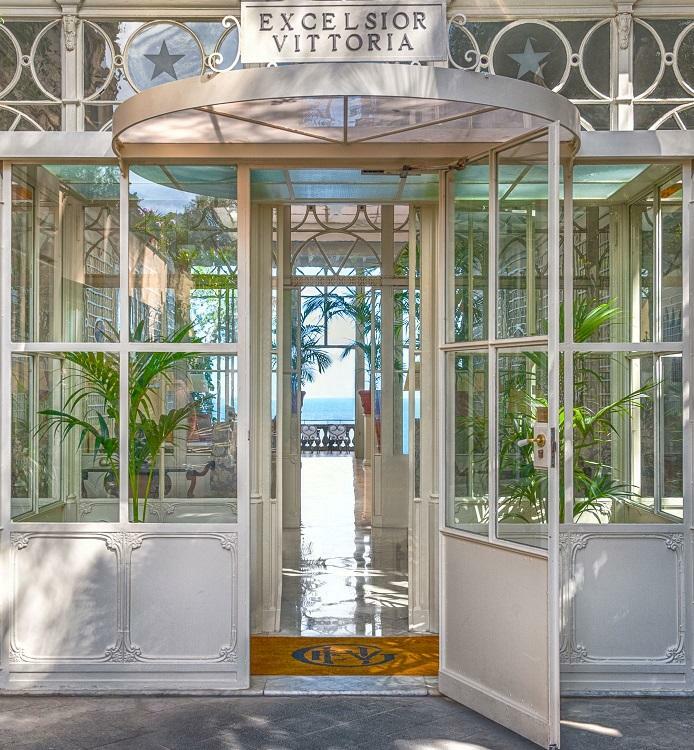 The Vittoria room, featuring large windows overlooking the Bay of Naples and beautiful authentic Nineteenth century wall decoration, is a splendid location with great emotional impact. The Vittoria room is where the American buffet breakfast is served. A wide range of hot and cold dishes, desserts and homemade jams, including the excellent marmalade, prepared with the oranges from the hotel’s garden. Breakfast also includes a selection of organic food. The spectacular surroundings of the Grand Hotel Excelsior Vittoria serve as a focal point for the very best in art, culture, gastronomy and social occasions. Our reputation for indulging our guests ensures you will always have an amazing experience, whatever your reason for visiting. The Grand Hotel Excelsior Vittoria is honoured to host the great fame and talent of Marian Mika. He will give his performances in the form of a private concert for guests of the Hotel. The Polish pianist and soloist studied in the school of Henryk Sztompka, student of Paderewski, and Ludwik Stefanski. He graduated from the Krakow Academy of Music and immediately began his concert activity as a soloist and with orchestras in several European countries. He has taught in various academies in Poland and given important master classes and specialization courses in Italy and other countries. He was awarded the "Targa Frescobaldi" Award in Ferrara in 1992 and in Naples of the 1997 "Sebetia Ter" International Award for music. "The didactic and concert activity performed in many different countries” says Marian Mika “ has raised my desire to share with the younger musicians the experiences matured during these years." 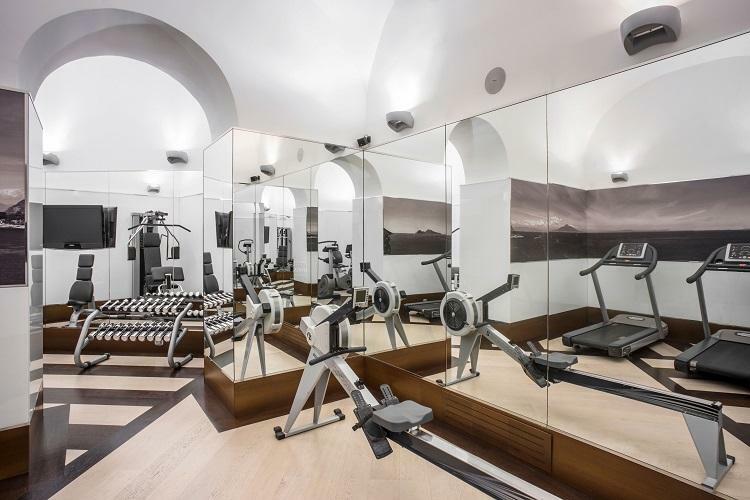 The specially created program for the Grand Hotel Excelsior Vittoria will be dedicated mainly to Fryderyk Chopin. From the collaboration between Grand Hotel Excelsior Vittoria and Franco Senesi, owner of the gallery Liquid Art System, a contemporary art organization with galleries in Capri, Positano, London and Instanbul, the idea of an evening dedicated to art: a vernissage followed by dinner with artists Andrea Pacanowski and Giacinto Bosco. Pacanowski was born in rome in 1962 into a family of deep artistic sensibility, including his father who was an architect, his aunt who was an Ecole de Paris painter, and his grandmother who sculpted. Pacanowski continued along this path, graduating from the Fine Arts high school and rising through the ranks in the Alberta Tiburzi, an internationally-recognized Italian photographer. For over 20 years, Pacanowski has been a fashion photographer working on shoots in Italy and abroad, primarily Canada and the US. His work has been featured in a number of fashion magazines (Marie Claire, Elle, Vogue Italia, L'Uomo Vogue, Cosmopolitan, and Kult), photography publications, and advertising campaigns. Pacanowski continues to experiment with the medium, following the trends in contemporary art and developments in research and technology which have blended photography and painting. In this union of media, the virtual and the real are often indistinguishable, and the photographic language is pushed beyond its traditional boundaries to create unique, three-dimensional "painterly" images. The use of an innovative technique allows Pacanowski to transform a photograph into a painterly piece of art without any post-production manipulation. Giacinto Bosco was born in Alcamo, Sicily in 1956. At the age of 15 he moved to Milan ans stared working as an artistic caster. The foundry he worked at became the focal point for the very best in art and gave him inspiration. He was then encouraged to develop his artistic talent. In 1990 he became a member of “Società per le Belle Arti ed Esposizione Permanente” (known as “La Permanente”) and he received his first public commissions. Afterwards, his “Aphorisms of the Moon” took him into a poetic dimension that, like in a dream, his imagination transforms and moulds into sculptures, which celebrate primordial simple feelings in an artistic journey started with a personal exhibition from the White Room Gallery of the Liquid Art System in Capri, through many different international exhibitions in Moscow, New York, Instanbul and Miami, to his participation to Expo Belle Arti Lombardia, promoted by Regione Lombardia by Vittorio Sgarbi in 2015. He brings his oniric vision later on in 2017 in Salò, in a dialogue with the insanity-themed Museo della Follia and in Sardinia at Castelsardo square, where his permanent sculpture Colgo la Luna – a tribute to Giacomo Leopardi’s poetry – can be found. The art critic Paolo Levi describes Bosco’s works as a rare ability to merge historic memory to an innovative and non-conventional technique of lost wax casting. As a result of this fusion, his sculptures represent a perfect combination of pathos and ratio and they intensify the real meaning of his portrayal, glorifying the return to a simple, essential poetry and a narration out of time and out of history. An evening in a splendid setting dedicated to photography/painting and sculpture, during which the artists and Franco Senesi - will present their works. Dinner will follow on the notes of a menu, also a work of art, bearing the signature of the Executive Chef Antonino Montefusco. 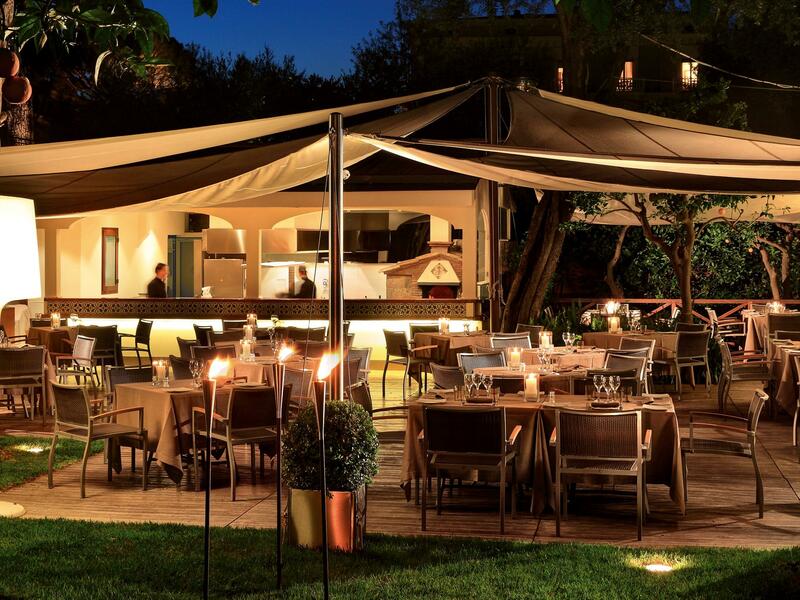 At the Grand Hotel Excelsior Vittoria, the award-winning Chef at La Pergola in Rome, Heinz Beck, will give life - together with Antonino Montefusco, Executive Chef of the Grand Hotel Excelsior Vittoria and Terrazza Bosquet, once in his Kitchen - to an extraordinary four-handed dinner. It's an evening that celebrates Michelin stars in the kitchen. It’s an evening which sees together master and pupil side by side. For lovers of starred cuisine, an opportunity not to be missed. Celebrate the memory of Luciano Pavarotti with the Grand Hotel Excelsior Vittoria in partnership with the Municipality of Sorrento. Together we bring again the Pavarotti Foundation to the ‘City of the Sirens’ for a community event of outstanding performances. The opera recital will take place at the Teatro Tasso in Sorrento. Talented young opera singers will perform famous opera arias and traditional songs accompanied on piano by Maestro Andreoli. 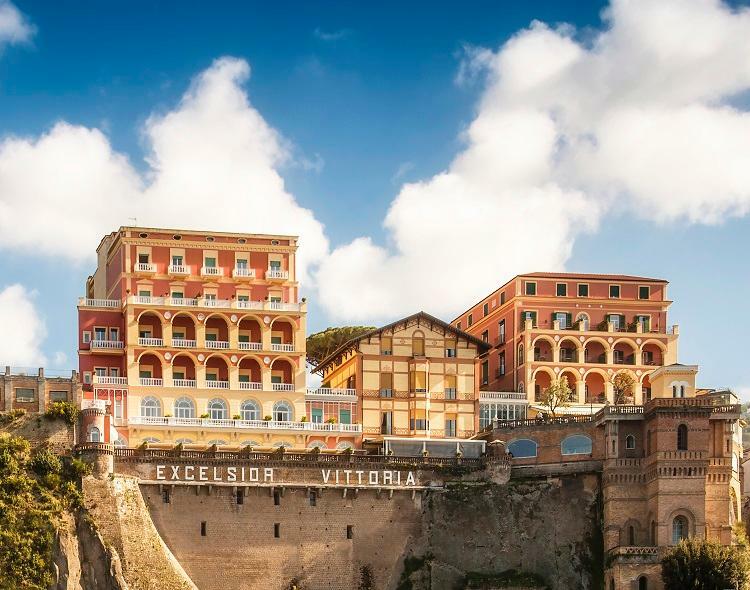 The event will continue with cocktails and dinner at the Grand Hotel Excelsior Vittoria to mark the importance that music has always had for the Grand Hotel Excelsior Vittoria. Entrance to both the concert and dinner is by invitation only. Exclusive atmospheres, music, signature menu signed by the Executive Chef Antonino Montefusco, here called to reinterpret the best Christmas tradition to delight you from the first to the last course. Hidden boxes! for this special holiday. The Grand Hotel Excelsior Vittoria is honoured to host the great fame and talent of Henry Yves. He will give his performances in the form of a private concert. Pianist and composer, Yves Henry trained at the Paris National Conservatory in the 70s and 80s. He studied with Pierre Sancan following chamber music classes, accompaniment and vocal direction, resulting in a winner of 7 first prizes at only 22 years. After having worked for three years with Aldo Ciccolini, he also won the first prize at the Robert Schumann International Competition in Zwickau. In January 2010 he was elevated to the rank of Officer of Arts and Letters by Frédéric Mitterrand, Minister of Culture and received the Gloria Artis from the Polish State for his contribution to the Chopin Year in France. The following year he replaces Alain Duault as President of the Nohant Chopin Festival. 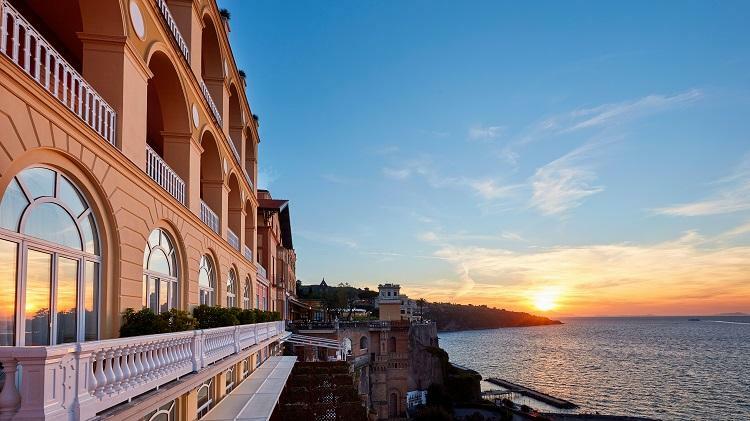 There are no New Year celebrations anywhere more elegant than those that take place in Sorrento and the Grand Hotel Excelsior Vittoria. Sorrento’s Christmas and New Year's Eve traditions are famous worldwide. The streets are decorated with lights and colours from early November, Christmas trees are set up in squares and there are festive meals and New Year's Eve celebrations that culminate in fireworks that illuminate the night sky. 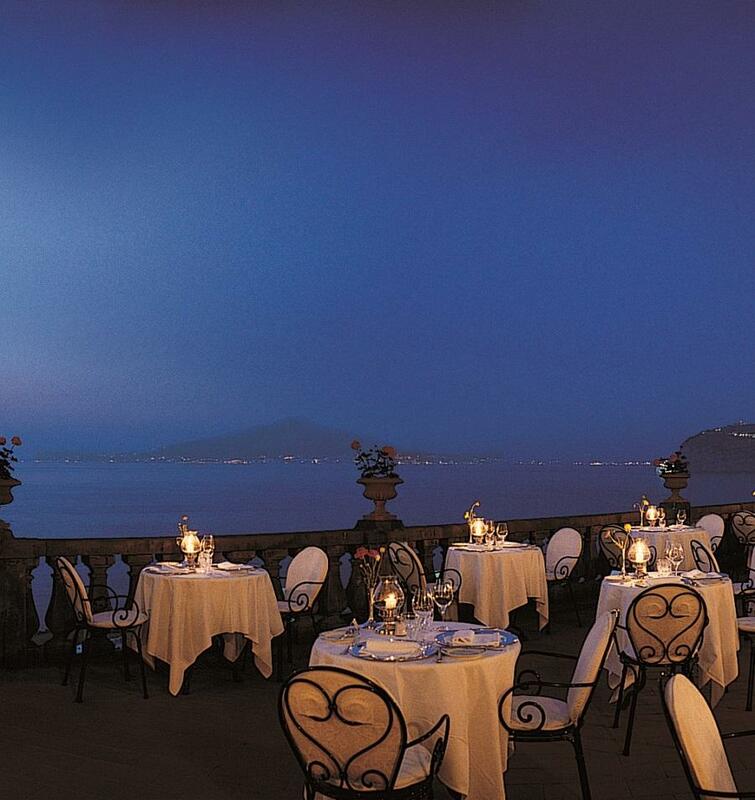 For many, it is dinner at the Grand Hotel Excelsior Vittoria that is the occasion of the year. The menu is prepared by the hotel's Executive Chef Antonio Montefusco, who selects his ingredients based on the evening’s top-secret theme. As a backdrop to this exceptional event, guest and artists, the Fiorentino family, the management and the staff all join in together to celebrate the New Year. 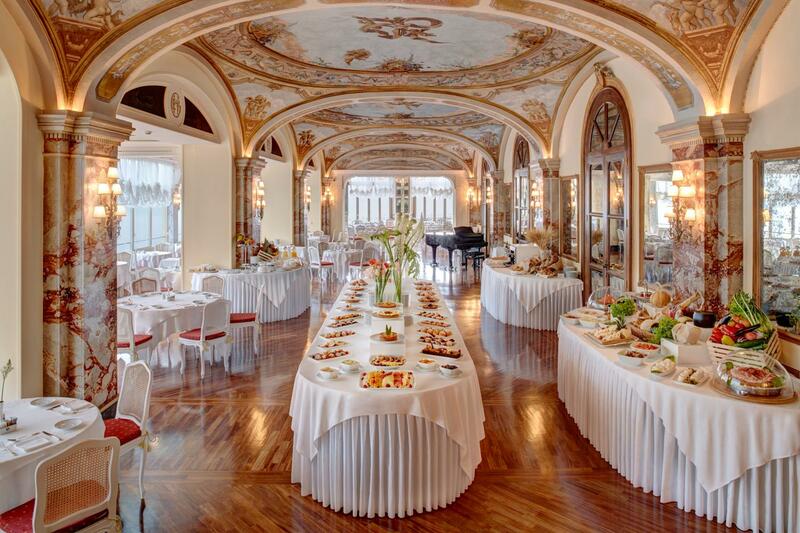 Staged in the splendid setting of the frescoed Vittoria Room of the Grand Hotel Excelsior Vittoria, the traditional New Year’s Brunch is famous for bringing the festive season to the dining table. Inspired by a fusion of Neapolitan culinary tradition and international cuisine, the hotel’s Executive Chef Antonio Montefusco brings his own life’s experience to the table. This includes his teenage years, his time abroad and all the experiences he has accumulated during his career. His trademark balance of tradition and innovation will provide a rich and varied culinary treat to celebrate the New Year. Francesco Nastro, Giuseppe La Pusata and Aldo Vigorito will bring some additional jazz flavours to this special event. By air: Capodichino Airport (Naples) has connections with the main Italian international airports. A private car shuttle service is available from the airport to Sorrento (about 1 hour drive) There is also a public bus service between the airport and Sorrento. By Train: At Napoli Centrals Station, change to the local Circumvesuviana line, which connects Naples to Sorrento (trains every 20-30 minutes). The journey takes 1 hour and 15 minutes (last stop). The train also stops at the archaeological site of Pompei. 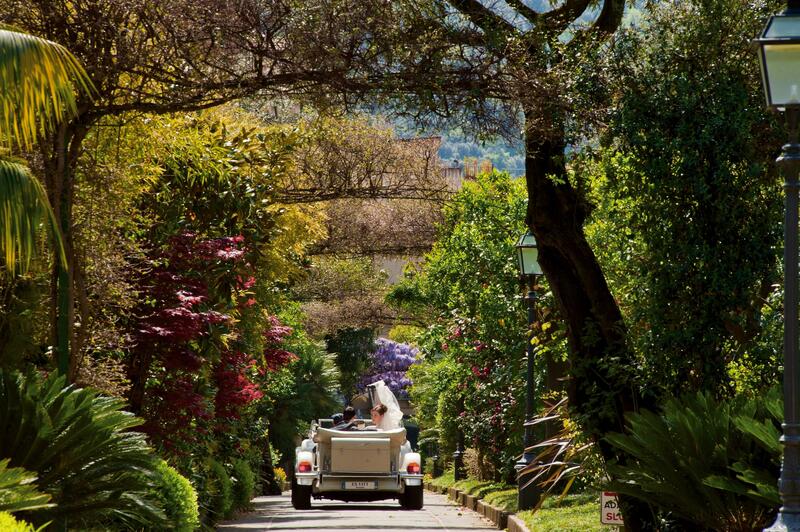 Private transportation from Naples railway station to Sorrento is available upon request. By car: Take the “A3” Naples-Pompei-Salerno motorway, exit at di Castellamare di Stabia, then follow the road signs for Penisola Sorrentina and Sorrento – SS. 145. Upon arrival in Sorrento, head for Piazza Tasso, in the city center, from where you can see the hotel gates. If coming from the Amalfi Coast, take the S.S. 165. By sea (by hydrofoil): Several crossings per day all year around, with departures from Naples (Molo Beverello) and Capri.